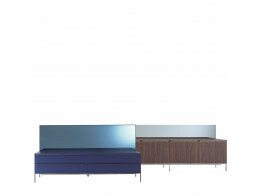 Brest Giorno Storage Units are available with drawers, leaf doors, and open partitions in two different depths. No. 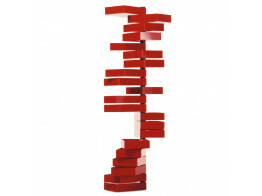 216, carefully designed by Jesper Ståhl, is a creative storage unit made of strong ash wood. 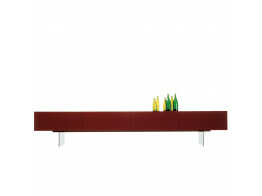 Acorn Sideboard is a freestanding hardwood storage unit, with sliding doors and internal shelves. 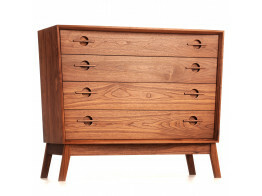 Acorn Chest of Drawers is a handmade storage piece with four drawers. 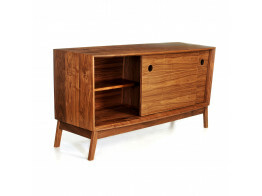 Made from solid hardwood. SEC Trolley is a pedestal which can be specified in various configurations to meet your requirements. 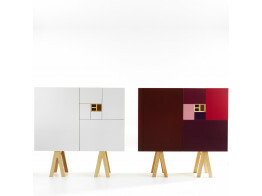 Uni Storage's large cabinets lie on a metal supporting frame and solid laminate panels. 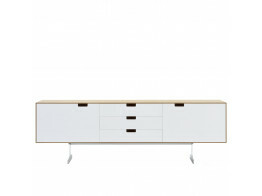 Simplon Sideboard is available as open box, TV units or with doors and drawers. 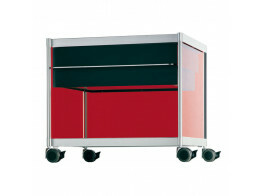 Revolving Cabinet is a red polished acrylic chest of 20 drawers with a metal support for a stunning aesthetic. 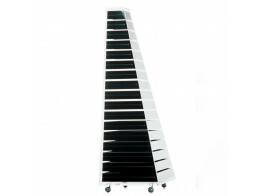 Pyramind Chest of Drawers offers 17 different size drawers in black acrylic resin and transparent structure.